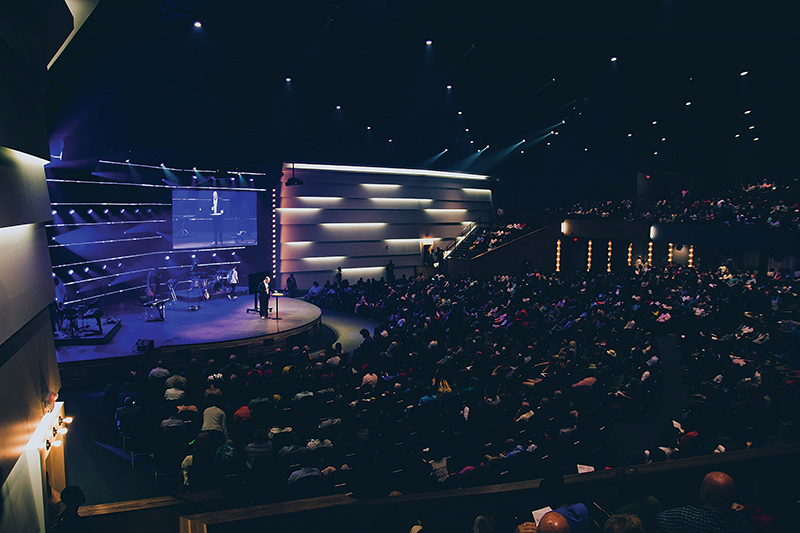 In 2001, Word of Life Church faced two major setbacks: the senior pastor passed away, and the building project — underway at the time — came back from bid 200 percent over budget. But, 10 years later, the church completed an $11.2-million building project, including a 900-seat sanctuary, offices, adult education areas, café, and state-of-the-art facility for infants, children and youth. 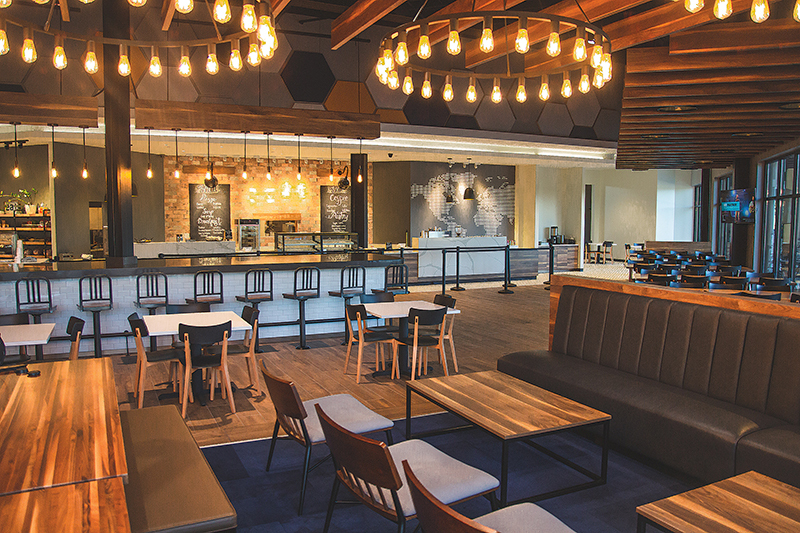 Last year, the church’s leaders put the finishing touches on the second phase of its expansion, an $18.2-million project that included a new 2,000-seat sanctuary and vastly expanded café, along with offices, back stage areas, and creative space. It all started with a late pastor’s vision and culminated with his son’s exceptional ability to not only carry on that legacy, but also draw upon his and others’ unique gifts to create his own story. 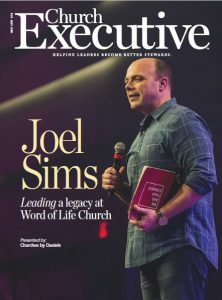 Joel Sims’ path to the pastorship at Word of Life Church in Flowood, Mississippi, was an incredibly swift one after his father, Senior Pastor Ronnie Sims, passed away in 2001. Joel was just 17. At the time, a $10-million building project was in the works. Plans had been drawn up and the property purchased. Land was cleared, a parking lot in place, and a foundation laid. But when the plans were put out to bid, they exceeded the church’s intended budget by more than 200 percent. “The cheapest [bid] we got back was $22 million,” Joel recalled. Not only that, but those plans cost $750,000 to commission in the first place. Naturally, a then-19-year-old Joel spent the first several years shoring up the foundation when he assumed church leadership in 2003. In 2011, when the church was blessed with enough growth to revisit its building plans, one of Joel’s first steps was to attend a class on ensuring a successful church building. The presenter was Charlie Daniels, owner and president of Oklahoma-based Churches by Daniels. Based on the church’s prior setback, the approach Charlie offered appealed to Joel: hiring a contractor before hiring an architect. This way, as Charlie pointed out, the architect designs what the pastor can afford, not just what he wants. It also meant that Charlie and his team would choose the subcontractors. Additionally, as the son of a pastor, Charlie had built many buildings with his own father. “That helped us position ourselves financially, in terms of ‘Here’s what building you need to build’ and ‘Here’s the size and scope you don’t want to go beyond,’” Joel said. It also helped the church — again, with Charlie’s help — find the right financing, at the right rates. So, for a lot of very good reasons, he was Joel’s first phone call from day one. Word of Life Church completed the first phase in spring 2011 at a cost of $11.2 million. At $18.2 million, the price tag was significantly larger than the first phase. Importantly, the 900-seat worship space — which was being replaced by a 2,000-seat sanctuary — would be divided and transformed into a combined children’s church / preschool ministry space. Design-wise, of course, Charlie’s familiarity with the project was pivotal. “You wouldn’t be able to tell where the old stopped and the new began,” Joel explained. Even so, Joel and his team were confident and calm, because they were relying on a known, proven quantity. Meanwhile, the new facility was designed to be unique, comfortable and deliver optimum viewing. Every seat would face the stage, and there would be enough space between the rows so that no one would need to stand up to let anyone out. Moreover, even the smallest seat in the sanctuary would be three inches wider. Just as important, the new sanctuary would let the church reduce worship services from five to three. 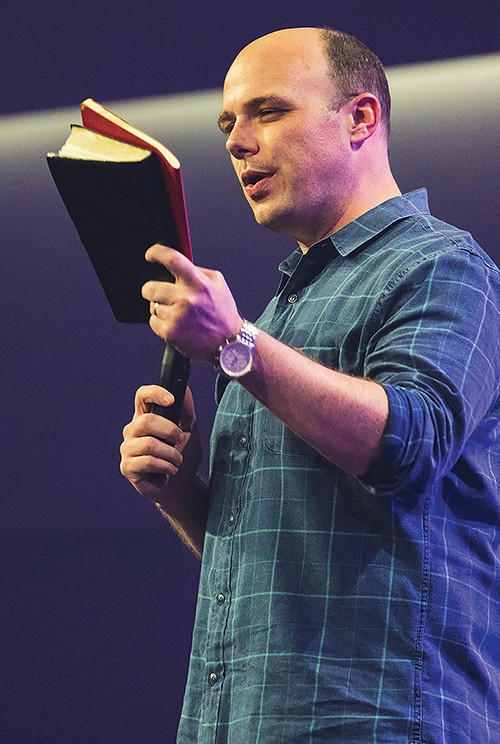 “That would let us have a little bit more length to our services, and have time to convey the information that can build our values over into our church members,” Joel explained. Happily, one aspect of phase two that didn’t expand was the pressure on church leadership. The only real complication during the second phase, it seems, came in the form of excessive rain. In Mississippi, 2018 was the second wettest year on record with a total of nearly 63 inches of rain. Summer 2017 was the fourth wettest, with a total of 22.4 inches. There were times during the project when a 56,000-square-foot pond had to be dewatered and de-mucked prior to continuing with fill and compaction. Consequently, rain became the single most limiting factor in the Churches by Daniels team’s ability to complete exterior site work. For the first six months of the project, as many as six people would pump water and remove muck from excavations every day. Joel recalled being “blown away” by the amount of rain, but he credits Charlie and his team with assigning project managers that were able to keep everything under control. “They really owned the job and did phenomenal work, not only in giving us peace, but also in pushing the subcontractors to get work done when it was dry, and to prioritize our work,” he said. Completed in fall 2018, phase two facilities are now finished and helping Joel and his team deliver better, even more family-focused ministry. Part of the formula, of course, was the ability to apply the lessons learned in the first phase to phase two. For instance, storage was more of a priority the second time around, as was the connective power of a great café. Positioned front-and-center on the church campus, the new café seats 175 people and features impressive indoor and outdoor space, including fire pits. Today, what started as Ronnie Sims’ $10-million building project has culminated in a nearly $30-million, family-friendly church campus. According to plan, Word of Life Church is even on track to be debt-free in as little as three years. It’s no small feat for any church, let alone one which has navigated such a personal tragedy, along with significant building setbacks. Joel said he gets emotional about that fact at least once a week, when he pulls up to the campus.